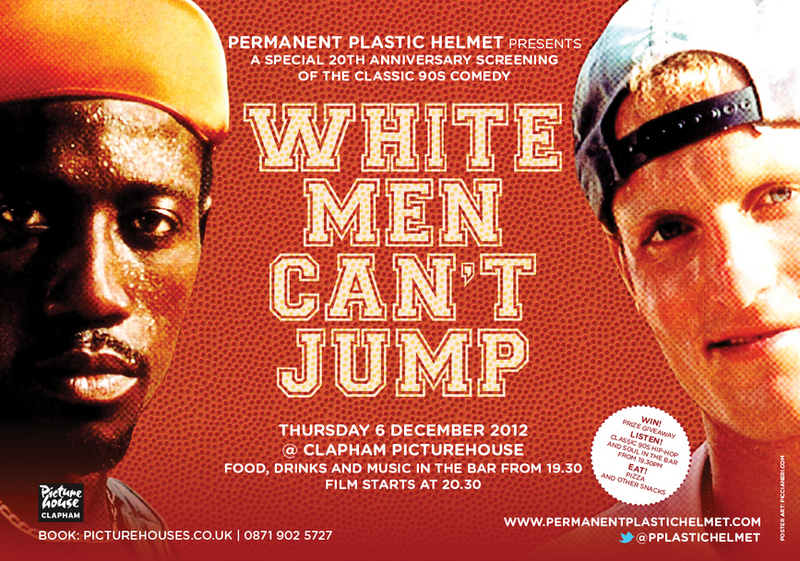 PPH presents White Men Can’t Jump | Here’s the poster! Now just a shade over two weeks away, our screening of Ron Shelton’s classic comedy White Men Can’t Jump at the Clapham Picturehouse is starting to cause some serious excitement around these parts. Join us on Thursday December 6 for the big event. You can – and absolutely should – book tickets by following this link. Our last event (a screening of Beats Rhymes and Life: The Travels of A Tribe Called Quest) was a complete sell-out, so book now to avoid disappointment. If you’re on Facebook, you can also use our event page to tell us you’re coming. Spread the word! To further whet your appetite, we’re delighted to unveil the event poster, designed by the incredibly talented Piccia Neri. This entry was posted in Events and tagged Clapham Picturehouse, Piccia Neri, Poster, PPH presents, Thu 6 Dec 2012, Wesley, White Men Can't Jump, Woody on November 19, 2012 by Ashley Clark.